Course Website: Official Website - Visit Pumpkin Ridge (Ghost Creek)'s official website by clicking on the link provided. 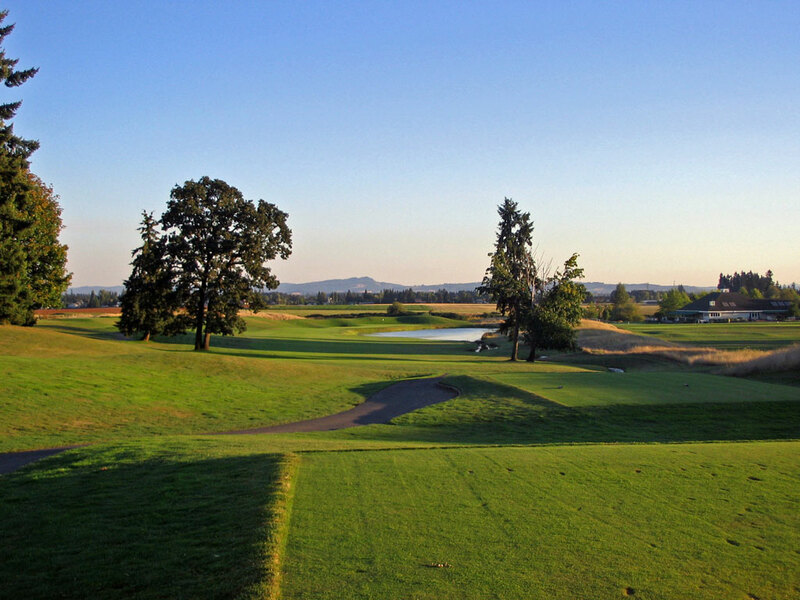 Accolades: Ranked 9th in Oregon on Golf Course Gurus' Best in State list. What to Expect: Pumpkin Ridge, since its inception, has been a property associated with all the greatness that golf has to offer. The formula: A great original piece of land, two Robert Cupp routings that became instant classics, and venues that quickly proved worthy of intense and significant competition. Ghost Creek, the publicly-accessible half of the greater 36 hole complex is a fantastic representative of Pumpkin Ridge. 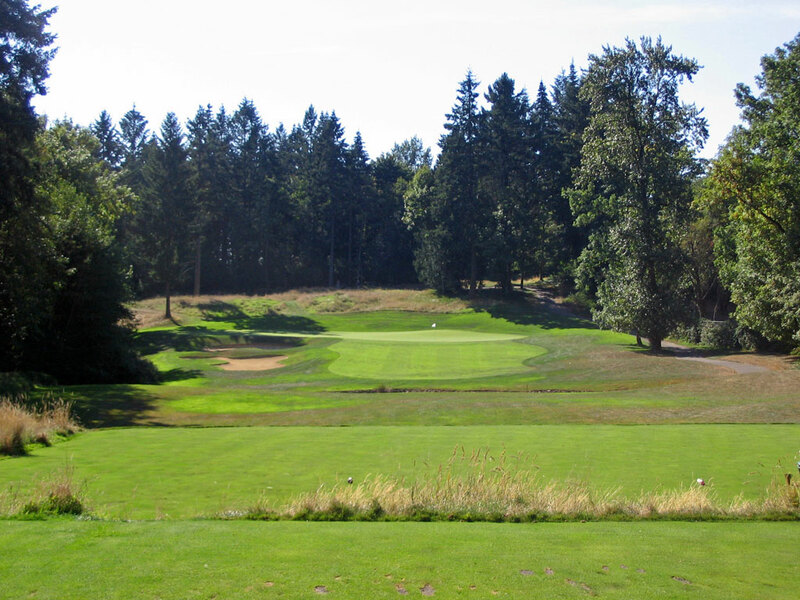 Set in rolling hills at the base of the Tualatin Mountains, and playing amid dense stands of trees and in through and alongside its namesake water feature, Ghost Creek's par 71 layout offers an experience worthy of it many accolades. Signature Hole: 17th Hole – 329 Yard Par 4 – While either side's finishing hole could be deservedly listed as the signature hole, the true signature hole is encountered at the seventeenth. This attractive 329 yarder is the shortest par 4 on the day, but is not drivable except to the most miraculous of shots. Its namesake creek is in play from tee to green and crosses the fairway at an angle and distance that demands strategy and forces conscious and varied club selections, with a mid-iron through driver all being legitimate options. While par seems readily available, higher numbers await those who are careless in their plan and execution. Best Par 3: 5th Hole – 218 Yards – The best overall par 3 on the day presents itself at hole #5. At 218 yards from the tips, it is 16 yards shorter than the longest par 3 and 85 yards longer than the shortest, but its overall offering makes it the best. A huge, 2-tiered green is its most difficult feature. With a low, narrow front, and a high, wide, bunker-protected back this green is capable of demanding puts up to 120 feet! And with a very front pin or a leftmost pin tucked behind the bunker, putter may not always be the preferred club - even from the putting surface. Best Par 4: 18th Hole – Yards – "Best Par 4" becomes a matter of opinion and personal taste as Ghost Creek's ten 2-shotters feature a myriad of shapes, lengths, and challenges. This being said, Robert Cupp may have saved his best for last, especially as the sequel to the short, finesse-focused 17th. #18 requires all the length you can muster off of the tee into a prevailing wind. The approach also requires length, but now demands accuracy as a lake positioned right of the green also fronts the green except to a ball driven to the extreme left side of the fairway. Best Par 5: 8th Hole – Yards – #8 takes the title in a competitive race for Best Par 5. A left-edge fairway bunker gives a target off the tee that allows a clear shot of the green. Any shot tight to the right leaves you with the need to fade your second shot to follow the shape of the hole. The smallest green on the course stands as a very small target amid an abundance of trouble, discouraging an attempt to be on in two, and encouraging the plan to utilize your wedge to put yourself in scoring position. Birdie Time: 6th Hole – Yard Par 4 – The short, picturesque, par-4 6th provides a great chance at birdie to those who aren't overly timid. A well-struck shot with the confidence to stay out of the creek on the right can leave you a wedge in your hands on your approach. Once you are safely left of the creek and right of the staggered fairway bunkers, don't hesitate to take aim at the flag and leave yourself with a short putt for birdie. If you miss your chance here, another decent opportunity is available at #10 which is the shortest and most straightforward of the par 5s. Bogey Beware: 9th Hole – 469 Yard Par 4 – Ghost Creek's steady dose of bunkers, water hazards, and dense foliage is capable of haunting your round with a bogey or worse on any given hole. However, the hole that is the most consistently difficult to par is the impressive, 469 yard ninth. The best angle to the green is from the leftmost fairway bunkers that lie just short of a large lake that wraps the left half of the green from front to back. However, this leaves a long approach that must carry the entire distance over water, but does provide safety long and right. A drive to right side of the fairway removes the forced carry, but features a longer second shot with water left and long and a very narrow approach. Nike Tour scorecards showed this as the most difficult hole on the course.